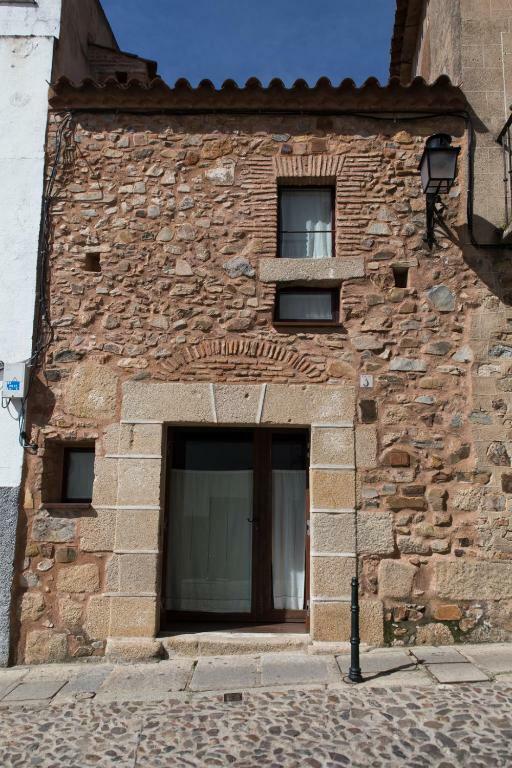 El alojamiento es precioso, moderno en un entorno espectacular, con todas las comodidades posibles. Amplio y muy bien situado. La ubicación, la atencion recibida y la limpieza del apartamento. 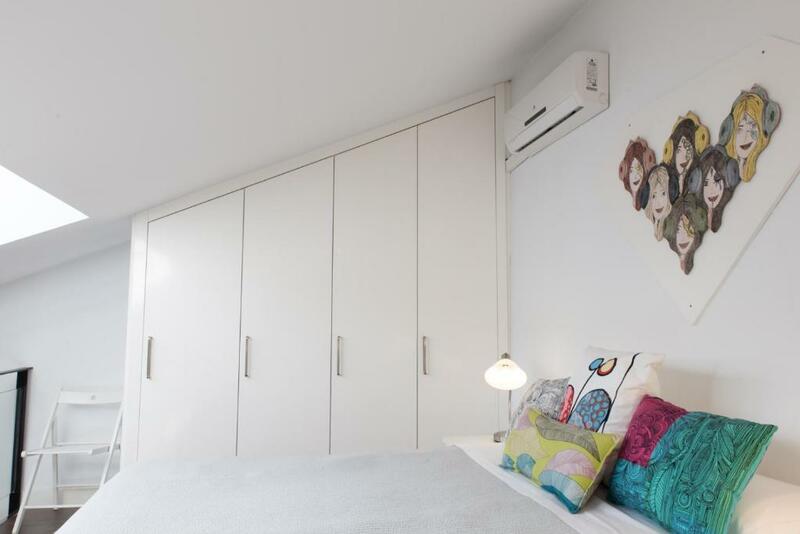 La decoración, la limpieza, la cama muy cómoda, todos los detalles. Todo perfecto, completamente equipado, no le faltaba un detalle, incluso aceite, azúcar, sal, café, servilletas. Ubicado justo en una de las entradas al centro histórico, en una preciosa plaza muy tranquila. Hemos aparcado a unos 150 metros y no hemos movido el coche. En resumen una estancia perfecta en la preciosa Cáceres. Limpieza, ubicación, comodidad, equipamiento de la cocina. La blancura y suavidad de sábanas y toallas. Ubicacion ideal. Al apartamento no le faltaba de nada. Apartamento muy recomendable. Está muy bien equipado, situado en pleno centro. Fin de semana espectacular, recomiendo sin duda. Las anfitrionas son geniales. ¡Gracias! Todo ha sido excelente. Casa muy bien rehabilitada. Acogedora, cómoda, muy confortable y con una estupenda ubicación. Ciertamente para recomendar. Sin duda volveremos el próximo año! 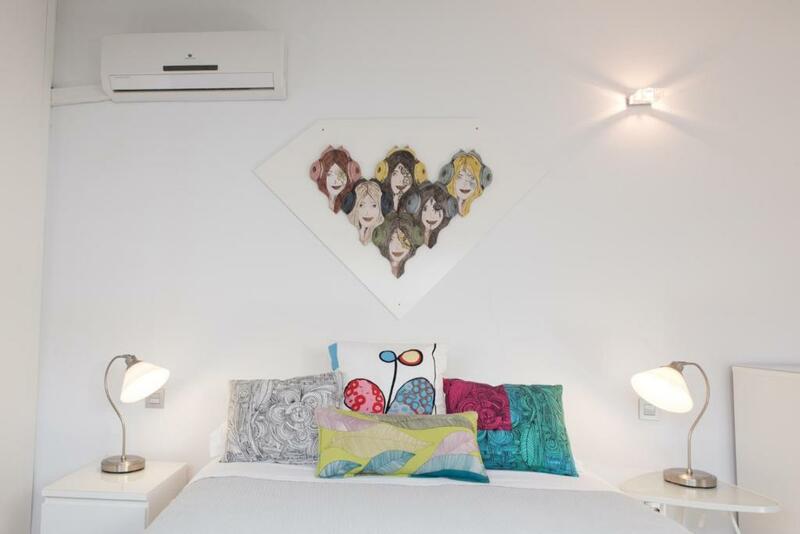 Lock in a great price for Apartamento Turístico Puerta de Mérida – rated 9.3 by recent guests! 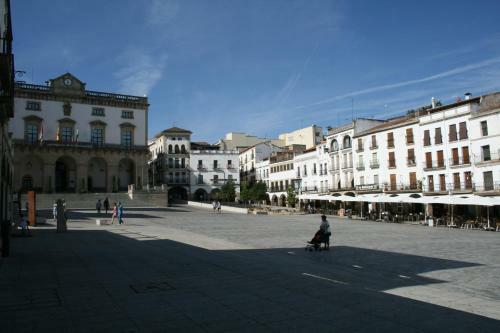 Located in Plaza Santa Clara, Apartamento Turístico Puerta de Mérida offers views of the historic center of Cáceres. 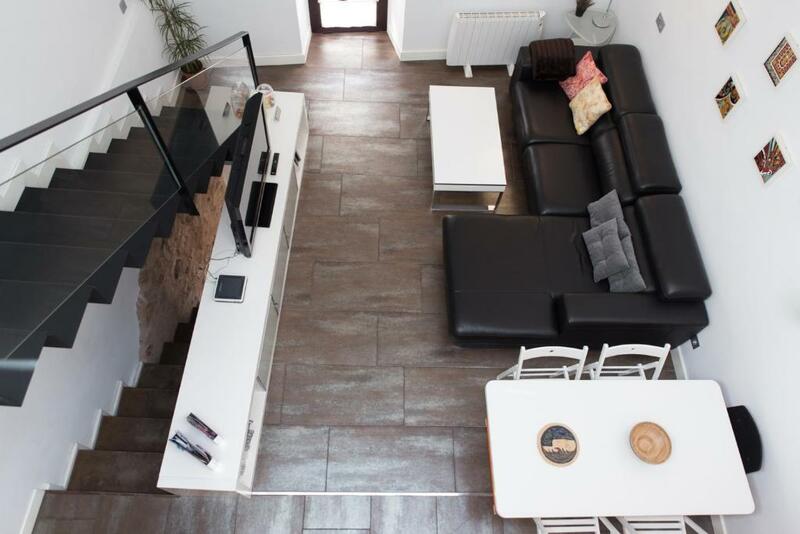 This duplex apartment features air conditioning, free Wi-Fi, a fully equipped kitchenette and laundry facilities. 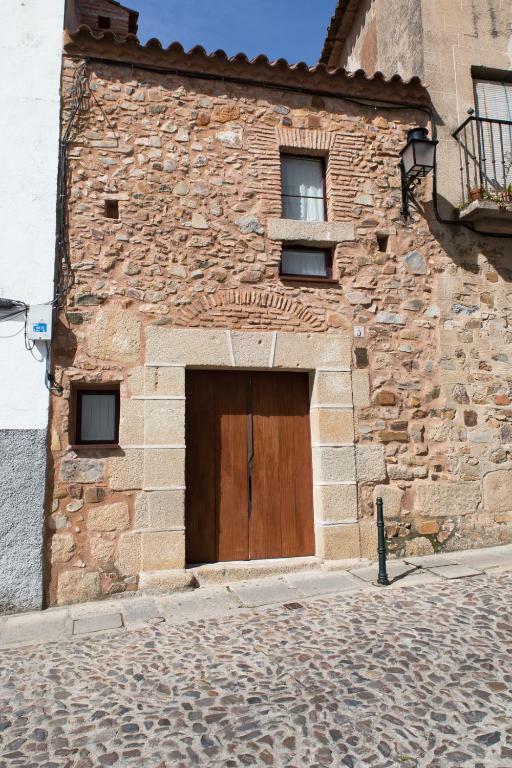 The stylish Puerta de Mérida apartment is set in a restored building. 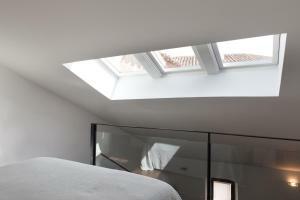 It has a ground-floor bedroom with 2 single sofa beds, while the open-plan top floor features a double bed. The main floor has a lounge with a flat-screen TV, stereo and library area. The kitchenette includes a microwave, dishwasher and coffee maker, while the bathroom offers a hydromassage shower and hairdryer. The Puerta de Mérida Apartment is ideally placed in Cáceres old town, a UNESCO World Heritage Site. 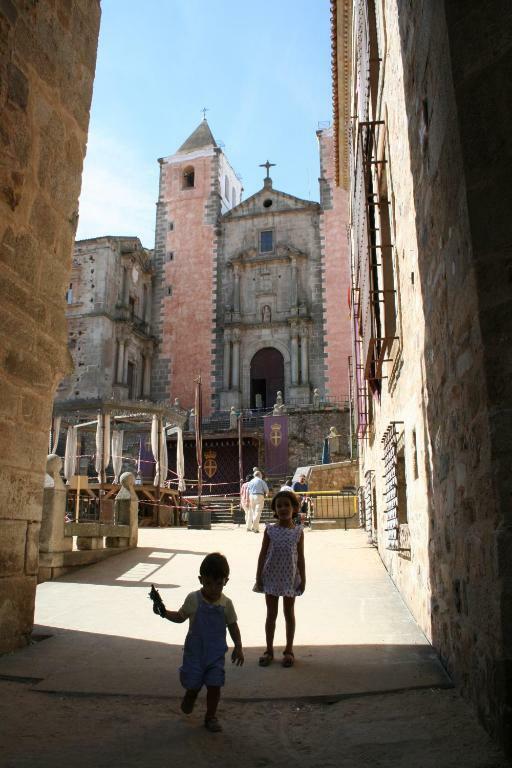 Cáceres Cathedral is 1,000 feet away, and bars, restaurants and shops can be found within a 5-minute walk. 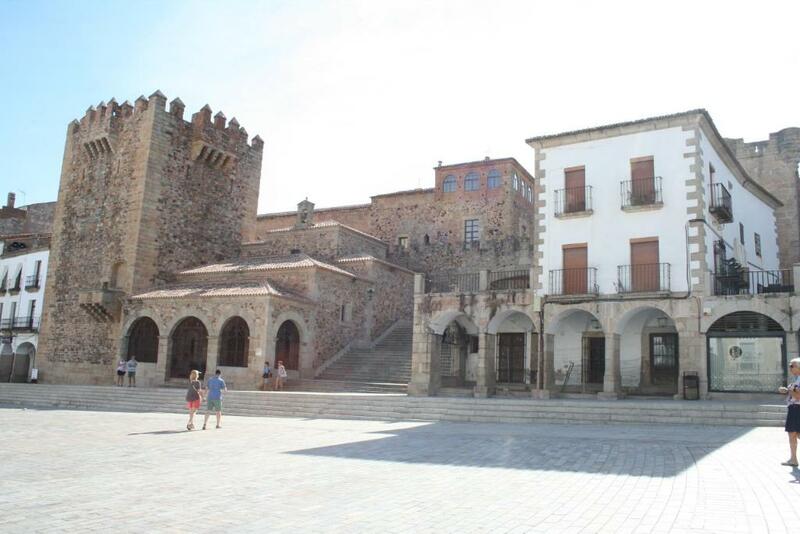 This property also has one of the top-rated locations in Cáceres! Guests are happier about it compared to other properties in the area. 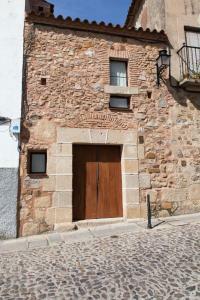 뀐 Located in the top-rated area in Cáceres, this property has an excellent location score of 9.9! When would you like to stay at Apartamento Turístico Puerta de Mérida? This air-conditioned duplex apartment has stylish contemporary décor. It includes a ground-floor bedroom with 2 single sofa beds and an open-plan top floor with a double bed. The main floor has a lounge with a flat-screen TV, stereo and library area and a kitchenette with a microwave, dishwasher and coffee maker. The bathroom offers a hydromassage shower and hairdryer, and there is also a washer-dryer. Sheets and towels are provided and free Wi-Fi is available. House Rules Apartamento Turístico Puerta de Mérida takes special requests – add in the next step! Apartamento Turístico Puerta de Mérida accepts these cards and reserves the right to temporarily hold an amount prior to arrival. If you expect to arrive outside reception opening hours, please inform Apartamento Turístico Puerta de Mérida in advance. Please contact the property using the telephone number provided on the booking confirmation at least 30 minutes before you arrive, in order to arrange key collection. 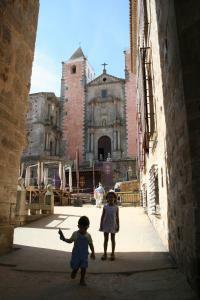 Sheets and towels are provided and are changed weekly for stays of over 2 weeks. Additional cleaning services are available on request, at an extra cost.